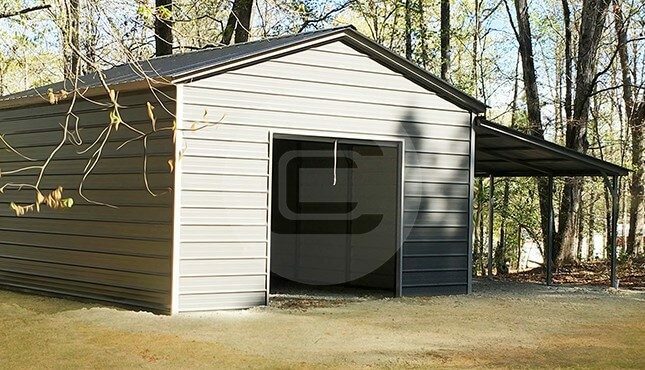 Lean-tos are very handy when it comes to additions to your Metal Building. This additional storage space can give you equal protection at a fraction of the cost. We are featuring a 30’ wide x 20’ long and 10/7’ tall lean-to building with an enclosed space of 360sq. ft and an open wall covered space of 240sq.ft. The roof of this 30×20 building with lean-to is a vertical style which helps snow slides off easily. 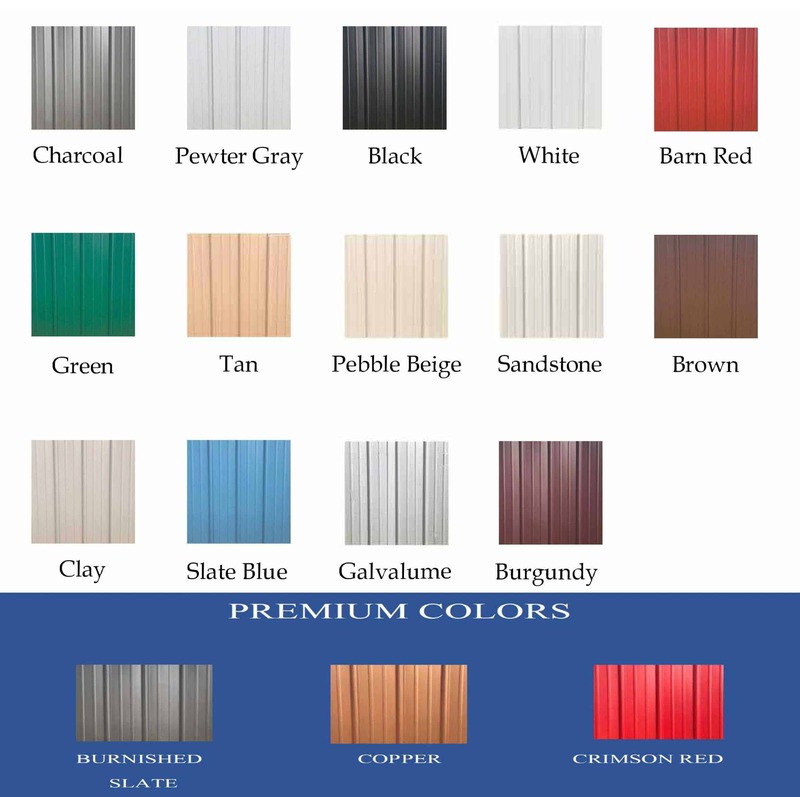 These vertical panels are the most suitable option if you live in a heavy snow region. Not just the vertical roof panel, this 30’ wide lean-to building kit is also certified for the high wind and snow, which makes it a perfect building storage option augmented by durability, strength, protection, flexibility and the most important – peace of mind.